Back in early 2010, I bought myself a brand new pair of shoes. 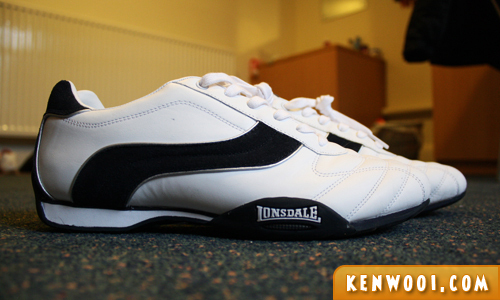 It was a beautiful white pair of Lonsdale shoes from UK. 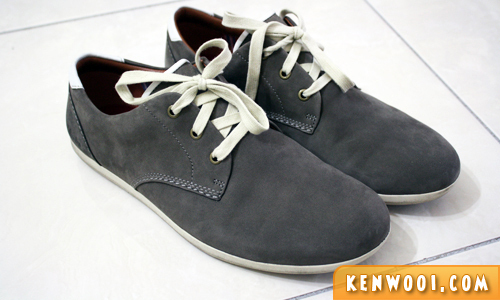 I bought it because it has the sporty yet casual style – suitable to be worn for informal outings. 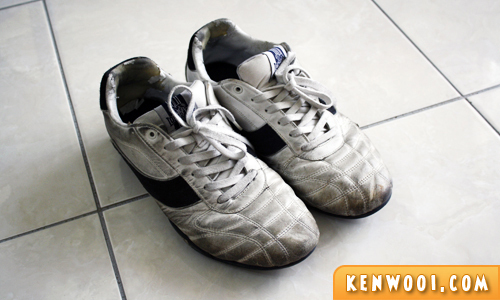 Since then, it was my one and only pair of shoes whenever I step out from the house. It’s cool, and I had no complains over it. Oh my, it has wrinkled and definitely got dirty. Hey, what do you mean by didn’t wash? I did… like once? Or maybe twice? Anyway, as I look back at the baby photos of the shoes. 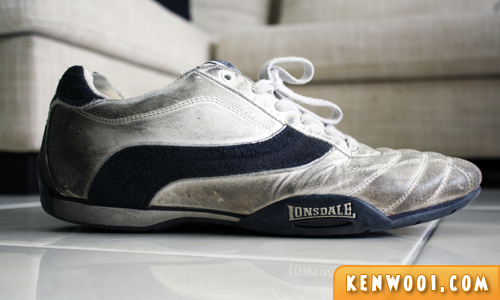 I can’t help but to say… my shoes grew old. 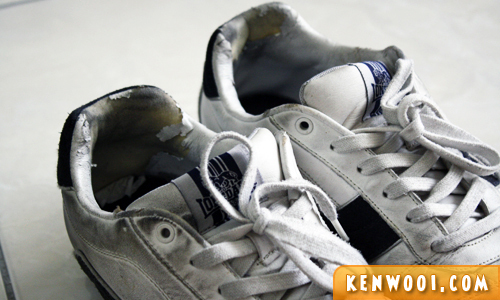 The damage is perfectly natural and inevitable, as any pair of shoes would experience the same. The process is quicker especially when you only have a pair of shoes at your disposal. You know what, I like how new shoes look like when they’re just purchased. All smooth and clean. So comfortable and durable. But then again, it has walked a thousand miles. Or maybe more, I don’t count my steps. DUH! 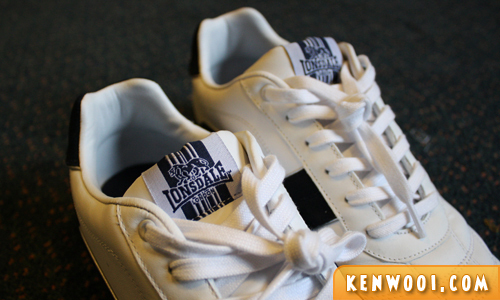 Therefore, the misery of Lonsdale must end. Hence, I got myself a new pair of shoes! Well, look at the type of choice this time, I guess maturity must have kicked in 3 years later as it’s more… simple-looking. Nothing sporty, nothing fancy, just plain… simple. 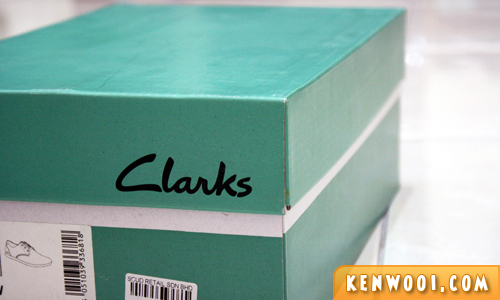 So, this is one of the baby photos for Clarks. Let’s see what happens to it 3 years later. Heh. New shoes are on the way? 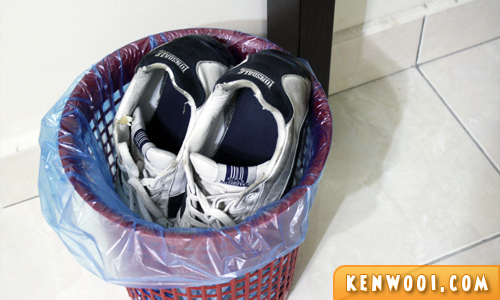 well, we girls always throw out our shoes, like every 2 months…? A matured shoe. haha. But…3 years is quite long life for a shoe. haha. Or is that coming from a girl? HAHA!